This discovery may not change your life. This discovery may not rock the science world. This discovery won’t give us world peace. But this discovery may change my life. This discovery may rock my science projects world. And this discovery FACINATES me. Mason jars. I love them. The end. 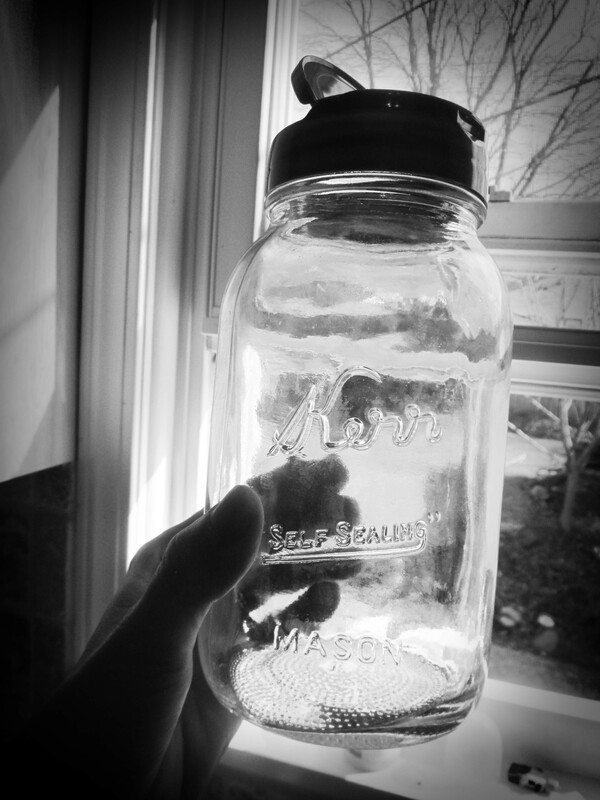 I grew up on a farm where Mason jars were a part of my life. We used them for canning, but we also used them to bring drinks to “the men in the fields.” During planting and harvest, my mom would pack a hot meal, and take it to my dad who was working in the field. My mom did this because she loved my dad, but also because it is rather slow to drive a tractor home for lunch. If my mom had to be gone over the dinner hour, she would pack my dad a sack lunch, but most of the time she would take him his meal in the field. We grew up eating picnics at the edge of fields during the two most gorgeous seasons of the year–spring and autumn. And packed in each picnic basket were two large Mason Jars that my mom left with my dad. One was filled with ice water and the other with lemon-aid or iced tea. So Mason Jars are a part of my best childhood memories. 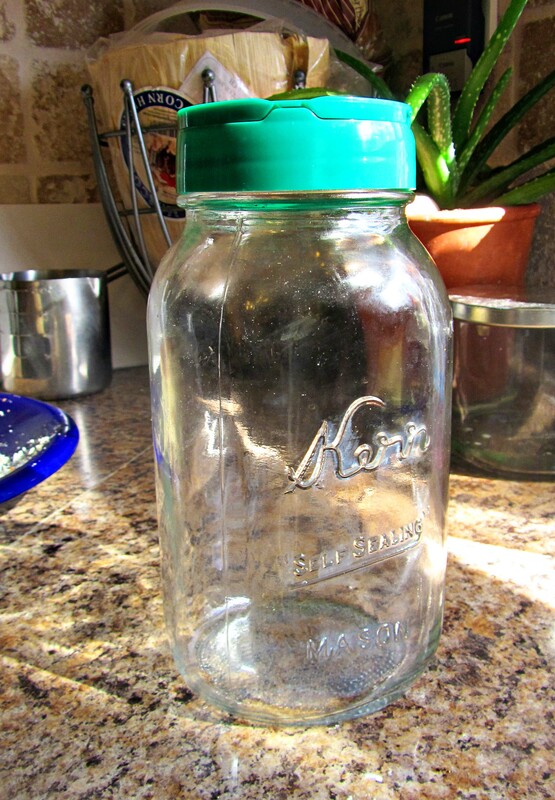 But did you see the new lid that Mason Jar is sporting? 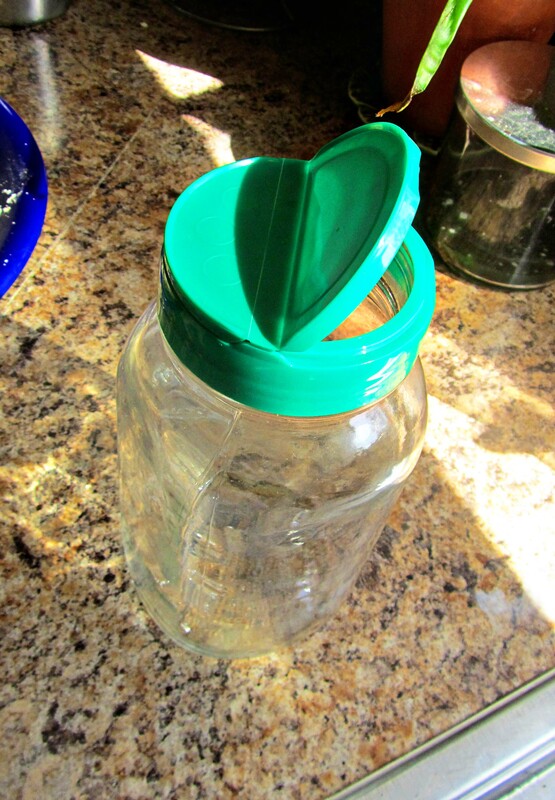 This new lid gives the Mason jar endless possibilities as it is a flip top! One side opens for pouring. 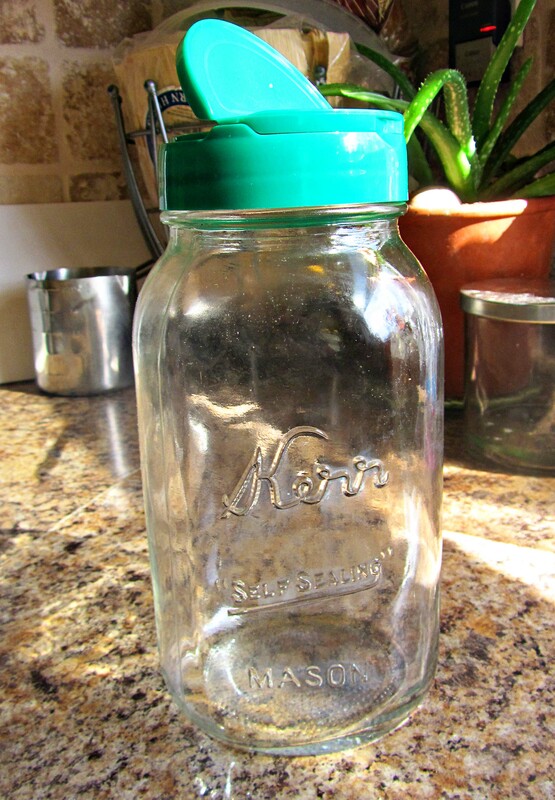 I can see myself storing dried beans in this Mason jar in my pantry. About five different kinds. They would all be labeled and make my pantry look organized. Or, I could use them for art supplies. Maybe for beads or even crayons to go. Or for hard candy. Or soft candy. Or for chocolate. I could store nuts or chocolate chips or grated coconut flakes. The other side flips up, and you can use it for sprinkling. Art = glitter or sequins or small beads. You can buy this lid at your local grocery store. It is found in the cheese aisle right on top of the parmesan cheese container. Now I would like 20, does anybody have some recipes that require great amounts of parmesan cheese? This entry was posted in Projects and tagged mason jar lid, pilot's wife, storage solutions. Bookmark the permalink. 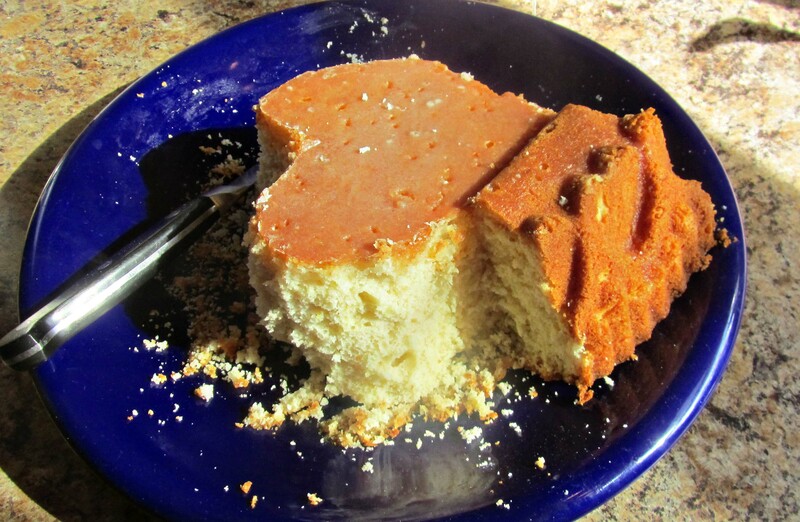 Looks llike the jello cake we made MANY years ago, and occasionally still do. Holes poked to let the lemon juice drizzle into it. Worthless nutritionallly, but pretty good. Parmesan cheese comes in Mason jars?? My parmesan comes in a little triangular package, ready to be grated. When will the Ypsi doll shirts be for sale?? I agree that the triangle Parmesan is the best. Unfortunately, budget demands currently only allow trianglular Parmesan on special occasions. Enjoy yours. We don’t have any Ypsi Doll shirts for sale, yet. We have just enough for the trade show. Before we mass produce the little Ypsi Doll outfits that velcro to the Ypsi Doll shirts, we are going to have to get some dies cut. The pieces are just too small to cut out my hand, and therefore add to the cost. We just sent some measurements to a die cutting place, and are waiting for a price estimate. BUT!!! When they are ready, I am going to have some Give-Aways on my blog and also offer a special price to all my blog readers. It will probably be another month. We need to get to the trade show and make some sales so we have some more $$ with which to work. awesome to know, and sad at how many Parm tops i’ve pitched!! Will have to buy some more in that form just to get the tops, I haven’t in awhile. I adore mason jars in general the same way, though i didn’t grow up with them. I’ve got oodles from canning, and have fallen in love with them for food storage too as I’ve been trying to get away from plastic. Leftovers almost all go in widemouth ones, and I use the half-pint minis a lot too. Just converted my bean/grain storage to them too. 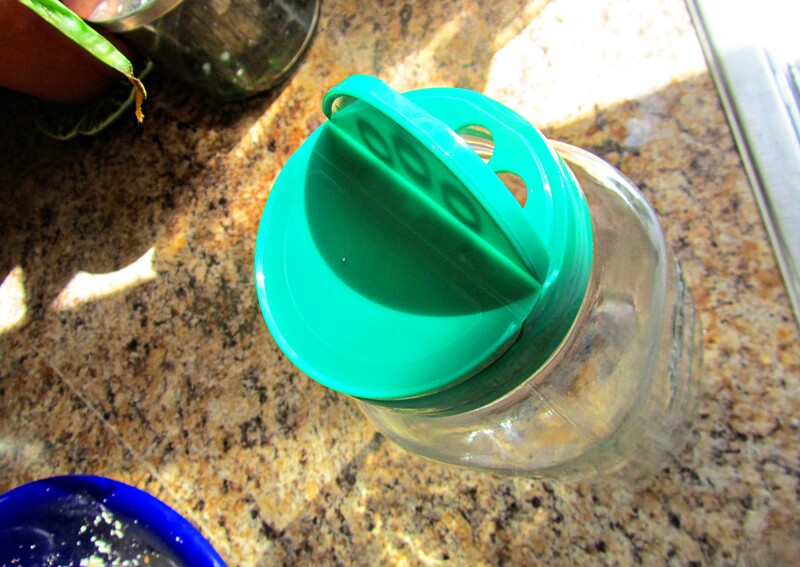 My SIL also let me know they now sell a lid that’s a to-go sipping lid for drinks that fits it … http://cuppow.com/ … kinda cool too. OOOooww! Thanks for the link!!! I am planning a pantry make-over this spring right after we finish school. …among all the other things you do!